My Hero Academia fans are sure to adore this one! 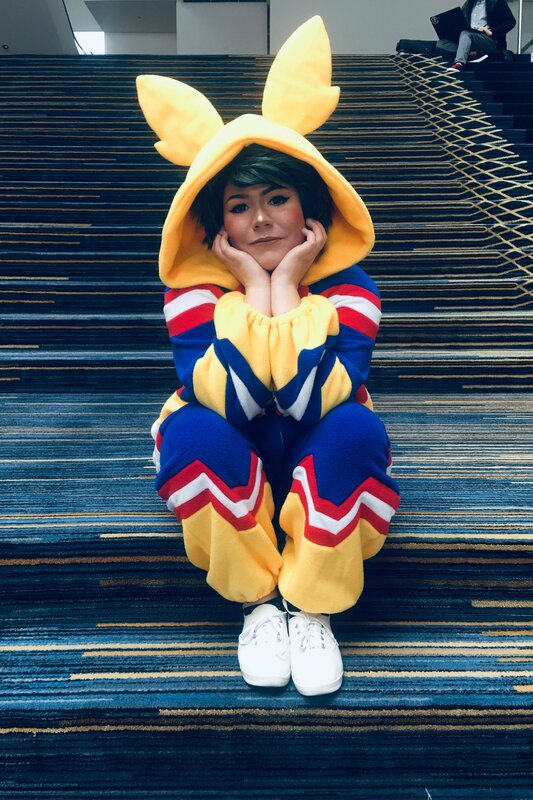 Featured cosplayer Chokedonaboba shows off a cozy take on Izuku Midoriya as a youngster. This costume is based on a flashback scene, showing Midoriya dressed as his hero and longtime inspiration All Might. The onesie design is super accurate! Just as impressive, the hairstyle and makeup also capture the look with perfection. One of Midoriya’s most recognizable features is undeniably that rebellious green coif – even as a kid! Chokedonaboba chose the perfect wig to recreate the style. This look started as the Apollo wig from EpicCosplay. Apollo is a short wig that measures at 13 inches with bangs trimmed at 9 inches. 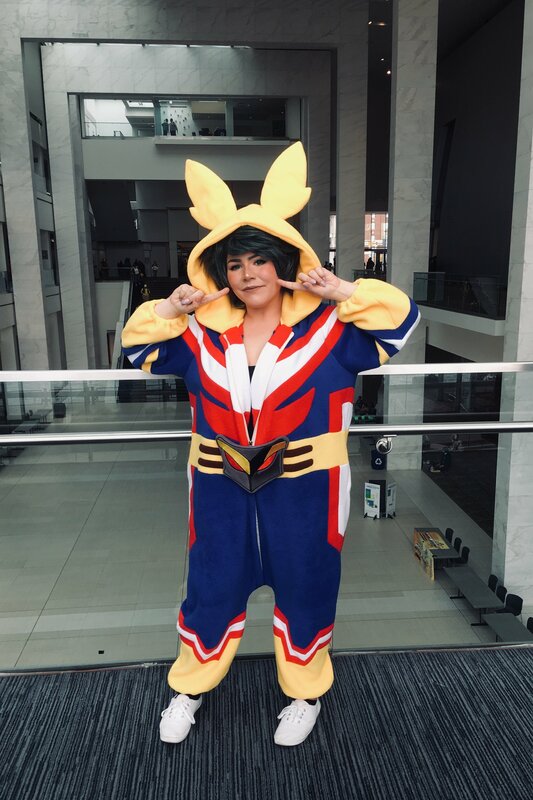 The fibers feature rich and voluminous layers, perfect for shaggy styles like the one showcased in this Young Midoriya cosplay. Like most wigs from EpicCosplay, Apollo is resistant to heat up to 410 degrees. This makes it possible to lock in holding products with a blow dryer. Of course, the color is just as important. 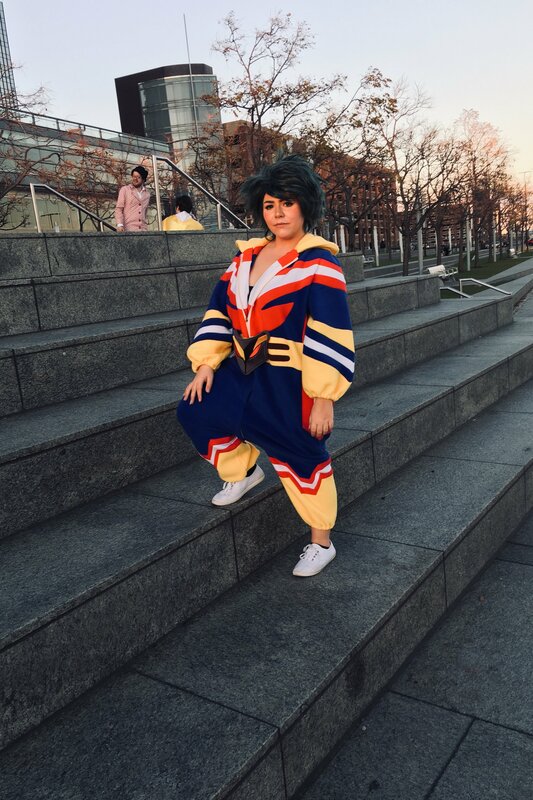 This amazing Young Midoriya cosplay uses the Forest Green Mix colorway. Forest Green Mix features a blend of dark and light green tones for a rich and dimensional look. For other characters, Apollo is also available in a spectrum of versatile hues. EpicCosplay offers inexpensive wig color samples in order to make the selection process a little easier. Are you planning to try your hand at this character and need styling tips? Check out the helpful Deku wig tutorial on the EpicCosplay YouTube channel! Take time to explore the other videos for a variety of techniques you are sure to use again and again.